Alice Ann Carroll was born January 3, 1962 in San Jose, California. she was the youngest child of Reverend Doctor John C. and Elizabeth Lois Carroll. 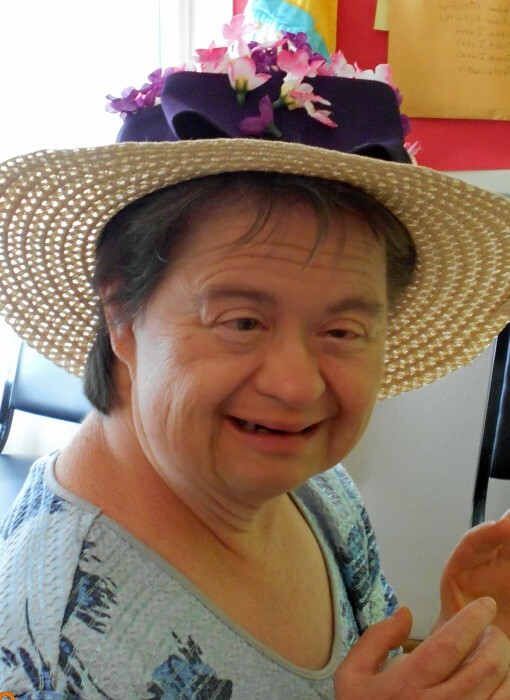 She passed away on August 2, 2018 at Feather River Hospice in Paradise, California. She was 56 years old. Alice grew up in Santa Clara attending Nan Allen & Joseph McKinnon schools. She attended Church of the Valley where her father was Pastor. in 1984, she moved to Paradise & joined the College Hill community, where she enjoyed 30 years of living with her friends. Alice attended the Work Training Center & the Access Plus Day Programs. Her life was full & rich with family. friends & many people that knew and loved her. Alice is survived by her mother, Lois Shanks; sister, Sara Carroll of Paradise; brother, John Clinton Carroll with wife Joan; nephew, Jordan & niece Lindsay, of Fremont. California. She was predeceased by her father, John & her beloved brother-in-law, Jim Quackenbush. Alice will be buried in the Welsh Cemetery in Dawn, Missouri, next to her grandparents on August 15, 2018. Special thanks to Far Northern Regional Center for 34, years of support and service, assisting her to enjoy a wonderful quality of life. Also special thanks to Dr. Harter & Dr. Chobanov at the Feather River Health Clinic & all her wonderful caregivers throughout the years. Memorial donations can be made to Feather River Hospice of Paradise, California, who lovingly tended to her in her last days.